Paint Chip Candy Canes – an easy Christmas craft for preschoolers that’s great for helping kids develop their scissor skills. This paint chip candy cane craft was completely unplanned, and came about when one of our preschoolers wanted to practice cutting with scissors yesterday. 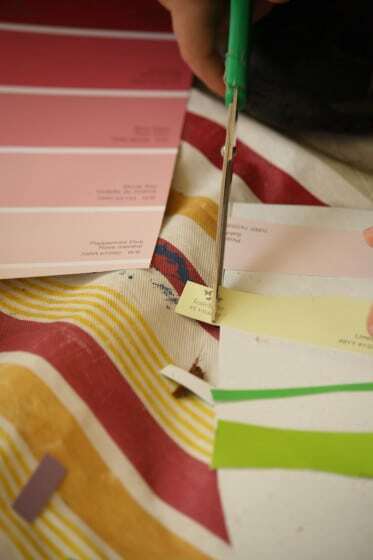 I’ve mentioned before that a stash of paint chips is a great addition to any craft room. They can help young children develop their scissor skills. They provide an opportunity to talk about colours, and they’re handy for crafting with! 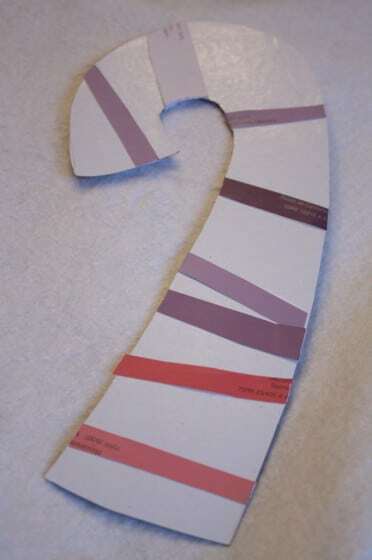 Check out our gorgeous paint chip mosaics to see what I mean. What with it being the Christmas season, I sifted through the samples looking for Christmas colours for him to use. 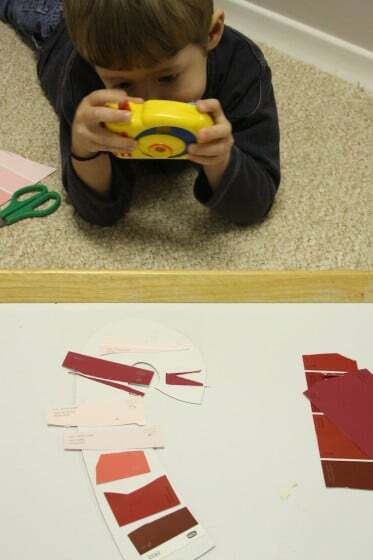 I gave him lots of red and green paint chips to cut up and as he was cutting and the red strips were falling to the floor, a thought occurred to me. 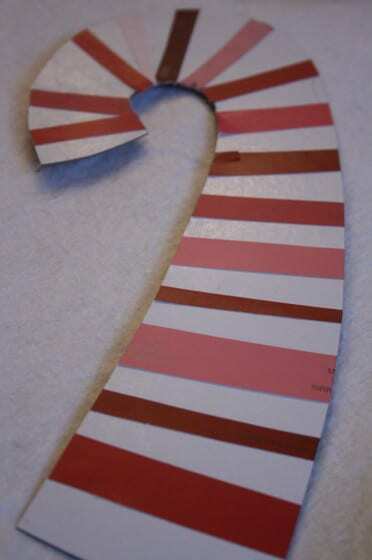 These red strips would be great for a candy cane craft! Our candy canes turned out so cute, we’ve been making them all week! 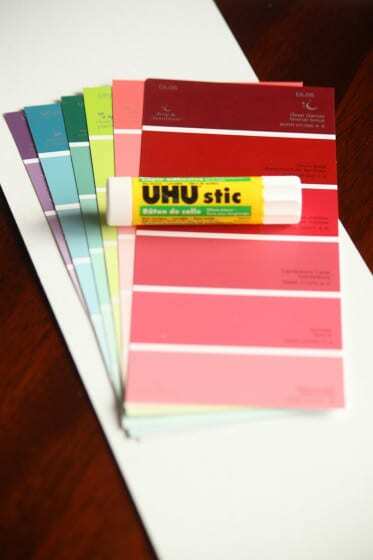 The hooligans cut their paint chips into strips, and glued them to their candy canes. And then they trimmed the bits that were hanging over the edges. Off topic for a moment, I want to share with you that one of my most enthusiastic little crafters right now is this little guy. At the beginning of the season he did not have the patience for crafting. He just wanted finish as quickly as possible, and get back to playing. 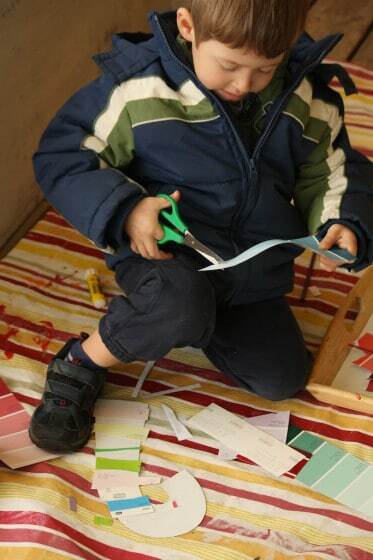 In 3 short months, it’s a completely different story: He regularly asks to craft, and he’s gone from not knowing how to hold a pair of scissors to being one of the best “cutters” in our daycare. Remember, he asked to do some cutting yesterday, and that’s how the whole candy cane craft came about. He also proudly exclaims, when he’s finished his work “I’m a real little CRAFTER!”. He’s always so proud of his creations, and I’m just thrilled to think that he’s found his creative side in his short time with us. 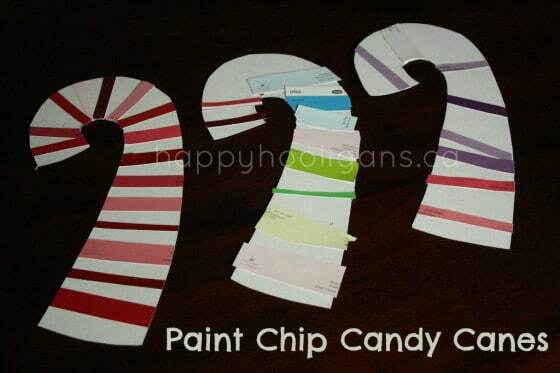 Here are our finished paint chip candy canes. 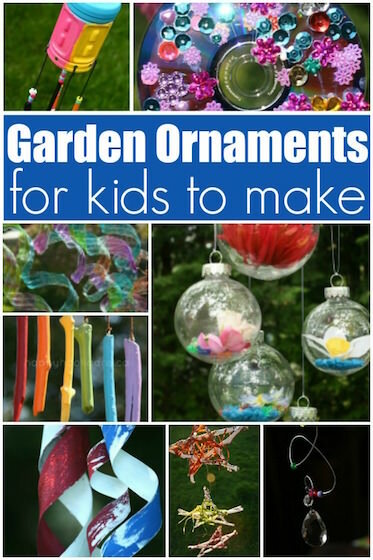 Depending on the size of yours, you can turn it into a tree ornament or a decoraton for your front door. We glued magnets (recycled fridge magnets from various businesses) to the back of our candy canes, and the Hooligans took them home to put on the fridge. my daughter’s club at school is having a tree decorating party for a local assisted living facility. 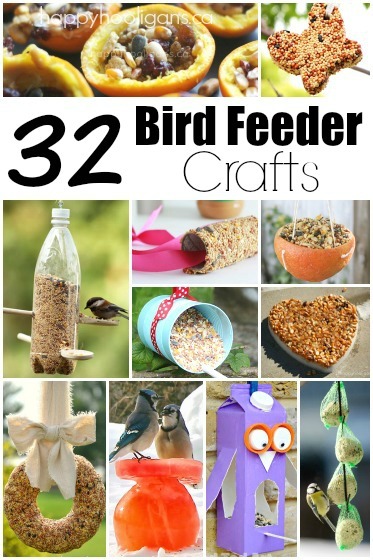 we are making these AND your coffee filter trees. thanks for the ideas!! enjoy your blog as a preschool director and early childhood educator! Wonderful, JJ! 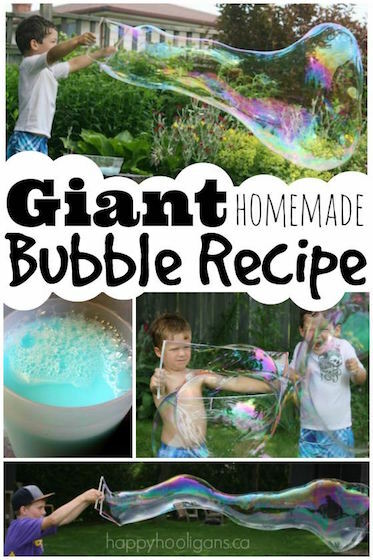 I hope the kids have fun making their crafts! Enjoy the party, and thank you so much for following along with us, and using our ideas as inspiration! Love this idea 🙂 We will definitely be doing this! It’s so great that you are nurturing a love of arts and crafts in the kids. 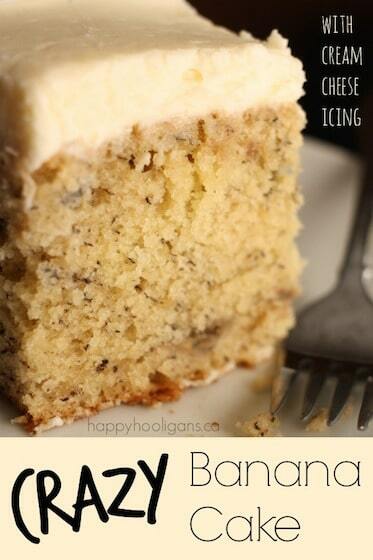 I adore this idea. Even my 8-year-old would enjoy this! Thank you, Joann. I am really thrilled that he’s gone from disliking craft time to being the most avid little crafter in the bunch! He’s actually starting to suggest crafts that he thinks we should do here at the daycare!